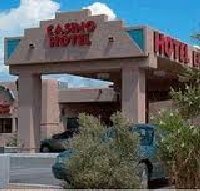 This guide has reviews will help you find, locate and learn about the 18 casinos in New Mexico which offer slots and all the typical table games including blackjack, poker, craps and slots. New Mexico's five horse racing tracks also offer slot machines. Most gambling places have limited hours which are posted on each web page and the legal gambling age is 21. New Mexico has four large casino resorts Hard Rock Resort near Albuquerque, Sandia Resort near Albuquerque, Santa Anna Star near Alamogordo. 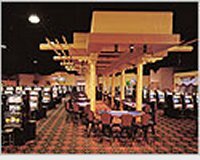 For detailed information regarding hotels, entertainment, spas, golf packages, RV Parking or gambling games available click on the casino name. The official New Mexico travel information site is www.newmexico.org or call 800-733-6396. 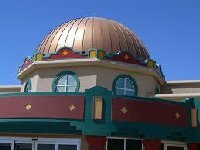 The Downs Albuquerque The Downs Racetrack and Casino in Albuquerque, New Mexico is a Racino with quarter horse and thoroughbred horse racing and an 8,000 square foot casino floor with 320 slot machines. 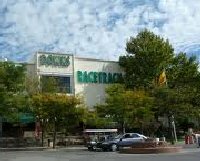 SunRay Park Farmington SunRay Park and Casino is a race course featuring live quarter horse races, national race simulcast and a 12,700 square foot casino floor with 520 slot machines. Zia Park Hobbs Zia Park Race Track and Black and Gold Casino has live thoroughbred races starting in September and an 18,700 square foot casino floor with 750 slot machines. Ruidoso Downs Ruidoso Ruidoso Downs Race Track features live quarter and thoroughbred horse racing from Labor Day to Memorial Day and Billy the Kid Casino has a 18,500 square foot casino floor with 300+ slot machines. 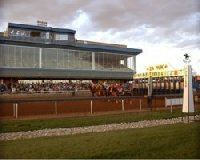 Sunland Park Sunland Park Sunland Park Racetrack and Casino is a one mile track with live horse racing and a 36,000 square foot casino floor with 700+ slot machines.